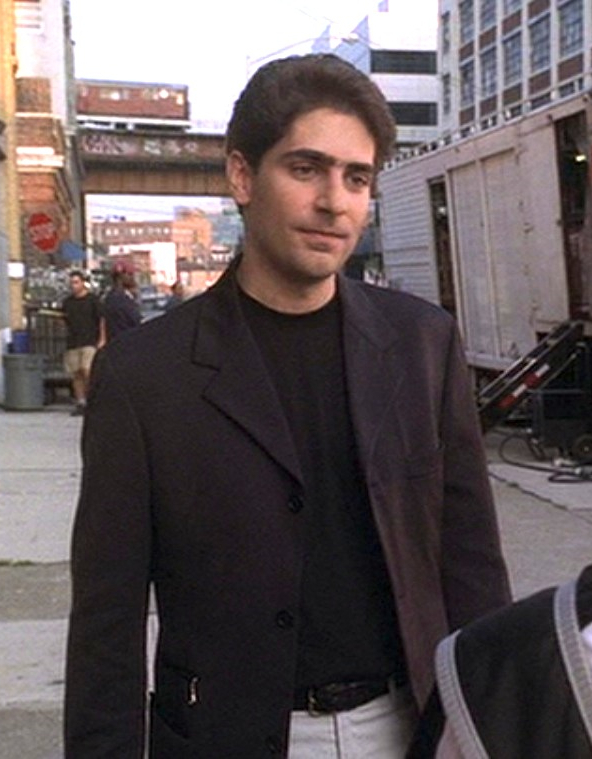 Michael Imperioli as Christopher Moltisanti in “A Hit is a Hit”, episode 1.10 of The Sopranos. Although a bit late for this Valentine’s Day (and my self-proclaimed #MafiaMonday), this post explores a creative integration of red into a man’s outfit. While some – and, likely, most – will consider it over-the-top, the character in question isn’t exactly known for his good taste. 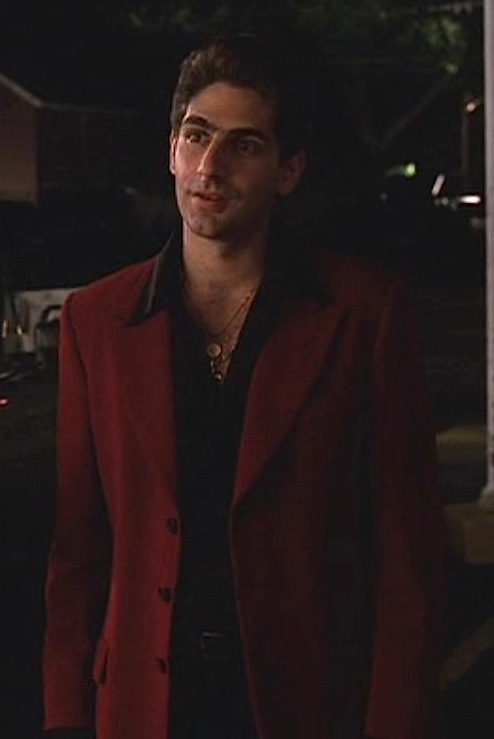 Michael Imperioli as Christopher Moltisani in “D-Girl”, Episode 2.07 of The Sopranos (2000). 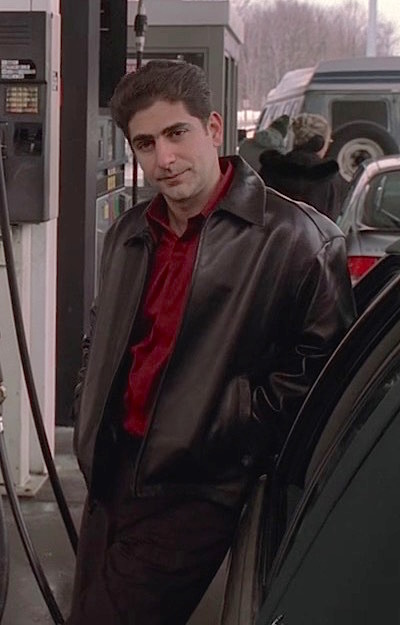 Michael Imperioli as Christopher Moltisanti in “Full Leather Jacket”, the eighth episode of The Sopranos‘ second season. SPOILER ALERT! 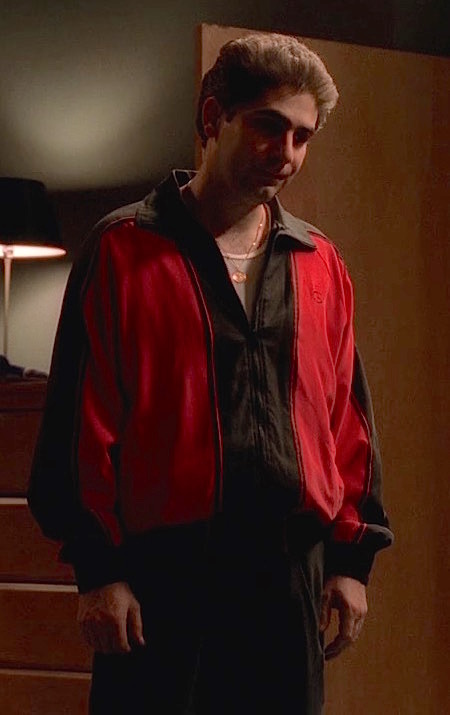 Do not continue reading if you haven’t yet watched The Sopranos. Although, granted, I’m pretty terrible about avoiding spoilers so… sorry in advance. 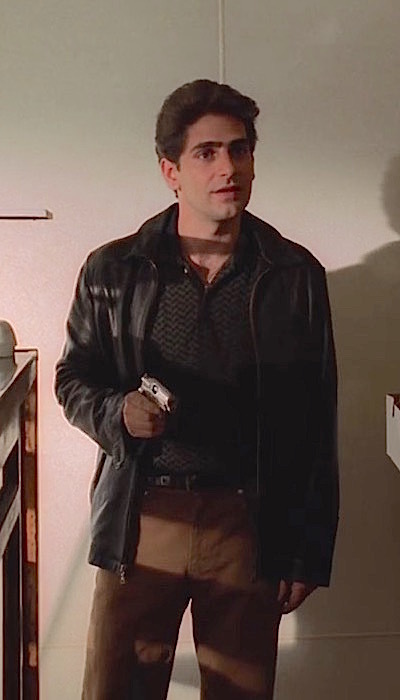 Michael Imperioli as Christopher Moltisanti in “Pine Barrens”, the eleventh episode of the third season of The Sopranos. 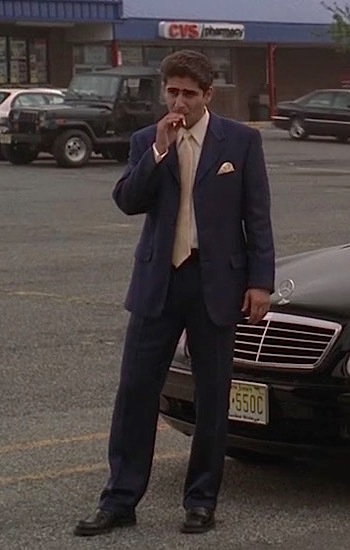 For a series arguably among the greatest shows of our time, it is difficult to pick out which episode of The Sopranos is truly the best. While some episodes are more polarizing than others, most everyone who has seen and appreciated the show can agree that season three’s “Pine Barrens” is one of the most enjoyable and rewatchable episodes of television. 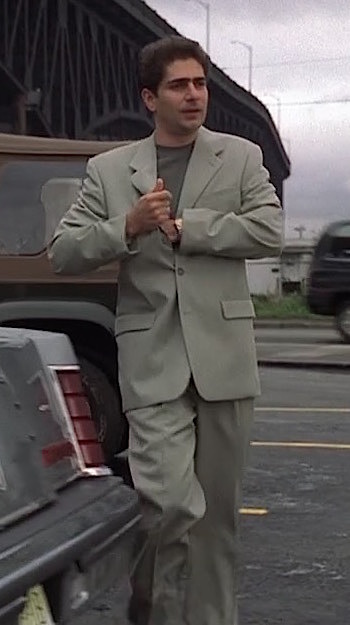 Much of the particular episode’s humor comes from the byplay between Christopher Moltisanti (Michael Imperioli) and Paulie “Walnuts” Gualtieri (Tony Sirico), two of my favorite characters of the show.